There are so many decisions to make, so many websites to visit, and so many people to talk to when planning a wedding. Below are some questions I frequently receive that are intended to help you get to know me and my style a little better. I find this helps get some of the basic information out of the way, so that we can focus on what's most important...your wedding and how you'd like it to be photographed! Documenting your wedding requires me to be excellent at several different styles of photography. In a typical wedding day there will be times when I will need to work in a contemporary or photojournalistic style, and of course a wedding album isn't complete without stunning portraiture and some traditional posed photos mixed in. What do your wedding photography packages include? All of my wedding photography packages include the high resolution, professionally edited digital files, with full copyright release, downloaded to you. Yes, I am very experienced and comfortable working in all types of lighting conditions. I like to use available light when possible (my favorite), or I have plenty of lights to create my own lighting when necessary. First I'll post a blog or Facebook preview gallery within a week or so of your wedding, featuring some of my favorite images. After that your entire online gallery of professionally edited images will be ready within 3-6 weeks following your wedding day. What do you mean when you say the photos are professionally edited? I go through a careful procedure of choosing the best images from the day and then process each and every one of them with individual attention to color and contrast. Okay, according to my wife I am a bit particular, but that works in your favor since I take the time to erase that blemish that might have been on your chin, remove the spot on the groom's tux, and crop out the street sign on an otherwise perfect photo. All done just so you are amazed with your wedding photos! What kind of wedding albums do you offer? I'm so glad you asked about wedding albums! I love to see your photos come to life and we have many wedding album options for you to choose from. All of our wedding albums and books are lay-flat style, with endless cover material and style choices. You have to see them and touch them to truly understand how amazing they really are, so email me today to schedule an appointment to see them for yourself! 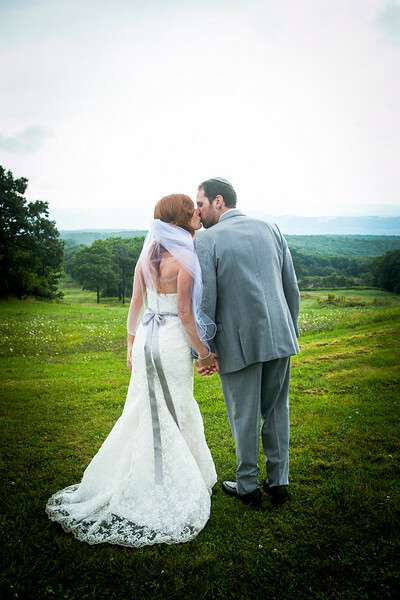 Your wedding images are not meant to collect dust in a drawer or be buried in your hard drive. Those wedding images should be preserved in a fine art wedding album that you can pass on to your children and to their children. Do we get to keep and access the digital files? Yes. All of my packages include the processed and print ready files, along with a letter of copyright release so you can print your photos and use them any way you want. In order to focus my attention on providing you with the best wedding photography, I cannot do both. I can however suggest a videographer service to suit your needs. How much is your deposit fee? A 30% deposit with a signed contract reserves your date, and the remaining balance is due 10 days before your wedding. This is all explained and spelled out in my simple to read photo contract. How far should we book your services in advance? Typically 6-18 months in advance, or as soon as you have a date and venue reserved. If you're not the plan "way in advance" type of couple, fret not. Check with me for availability as soon as you realize how important good photographs are to preserving your wedding day memories. Will you be the photographer shooting my wedding? Yes. You get me to shoot your wedding, not another photographer working under my name. Yes, and a great question a lot of couples don't know about. RAW processing allows me to get the best quality and image detail when I am processing your photos. Many other photographers do not go to the added work employing this very important process in their workflow. Do I really need an engagement shoot? The engagement session focuses on capturing the joy and emotion you share with your fiance. This is a fun casual photo shoot that allows us to get to know each other better and for you to feel more comfortable and relaxed in front of the camera, resulting in more natural photos on your wedding day. My clients often use these images for save the dates, engagement announcements, websites, reception centerpieces, and guest books--the possibilities are endless.